Let your house look perfect with this window curtain from the house of Swayam. It features a printed pattern all over that lends a trendy vibe. Besides, it has been made of good quality cotton fabric which is very beautiful. Size - 137 X 152 cms. This window curtain makes your artistic sense easily reachable to everyone. 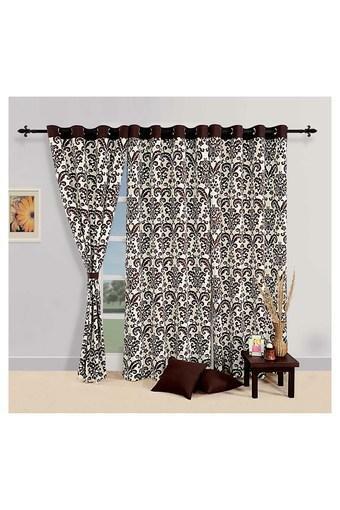 You will be appreciated by your guests for choosing the right curtain.